As someone who wants to believe all people are inherently honest, April Fool’s day is crippling to me. In 1996, reading about the Taco Liberty Bell in the Wall Street Journal I was amazed! And it wasn’t that long ago that our own Hoboken Girl tried to trick me into believing Taylor Swift was moving into the Hudson Tea (I awoke panicked, as a board member at HTB thinking about all the potential paparazzi…). Thankfully this year, HMAG’s article on job creation and HobokenGirl’s article on Justin Bieber had specific references to it being April Fool’s. Phew. 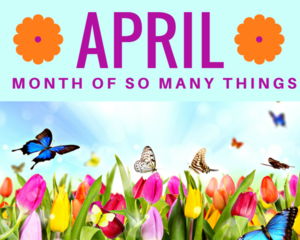 So with that we start April, and hopefully spring, this week with a full agenda of Hoboken features to share with you. Light It Up Blue for Autism. Wednesday (4/3) 6-7PM. Join us as we light City Hall up blue following Autism Awareness day for the entire month of April! We will be honoring those in our town who have supported our autism community and help make Hoboken even more aware, accepting and supportive to those effected by Autism Spectrum Disorder. Special Meeting of the Hoboken Historic Preservation Commission - Wednesday (4/3) 6-9PM. At Hoboken Public Library, 500 Park Avenue. In the aftermath of Super Storm Sandy, the State Historic Preservation Office and HUD gave Hoboken roughly $.25M in grants to update the citywide architectural survey last completed in 1979. Please come and hear about the new survey of over 1600 properties and how it can shape the future of Hoboken. It will also be live streamed on FB. City Council Meeting - Wednesday (4/3) 7PM. Click for the agenda and to watch online (link appears when the meeting starts). You can watch live on Facebook as well. Includes the 2nd vote on: the repeal of the recent parking meter rate increases, new laws regulating bar crawls, and a potential new e-scooter program (more about this below). Municipal Budget Hearing - Thursday (4/4) 6PM-9PM. City Hall. The 2019 draft budget by the mayor includes a 3% tax levy increase. Join the City Council as we look for ways to reduce taxes but maintain services. You can watch live on Facebook as well. This hearing includes presentations from our City Clerk's Office, our Law Department and our Finance and Administration department which covers the Mayor's office, Constituent Services and our City Engineer (including Washington St. and intersection improvements). More hearings scheduled next week. Pre-K 3 and Pre-K 4 registration All Week (4/1-4/5). Click to find all the information you need about registering including what documentation you will need to bring. Shredding Day – Saturday (4/6) 9AM-2PM. DPW site, Willow & Observer Highway. Shred your identity to avoid theft. Hoboken Literary Weekend by Little City Books – 4/5-4/7. For all ages and at various locations throughout the city. It is the first of its kind and hopefully not the last! Tickets have been selling out so get yours soon! I will be away, but one I personally wish I could attend is: NY Times best-selling author Daniel Pink on Saturday at 4pm at Hoboken High. Best-selling author of WHEN: The Scientific Secrets of Perfect Timing. (like not sending these newsletters the day of meetings…). Our Schools are Bursting At The Seams –This week, the Board of Education had a meeting with parents of children attending Calabro to discuss planned changes that would have Calabro students (and teachers, etc. ) moving to Brandt next year. The root of these changes are twofold – reduced state level funding and massive increases in school enrollment. Yes, read that second part again – MASSIVE INCREASES IN SCHOOL ENROLLMENT. In the face of rising taxes – the draft school budget suggests an increase this year of 5.4% - and significant increases in enrollment at the lower levels, the BOE is suggesting that combining Calabro with Brandt will afford better programming and use of school resources and will allow Calabro to be used for our growing pre-K enrollment. Since 2011/12 (9 years), enrollment is projected to be up next year by approximately 900 kids (39% total increase, 4% annually) from 2300 to 3200. Of these, approximately 87% are PreK-2nd grade representing a 71% increase during the same 9 yr period. This year’s 6th grade is the front of the wave - enrollment this year vs. last year is up 77% in one year from 82 to 145. TOTAL enrollment in the district schools (pre-K3 to 12th) since last year is up 5% and expected to go up over 13% next year. 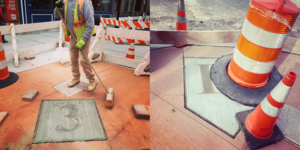 11th Street Baseball - Just in time for Baseball’s Opening Day last Thursday, Hoboken quietly returned the bases to the 11th street and Washington “baseball diamond” that day. New concrete bases with the original brass numbers. A little self-promotion – this was not part of the City’s plan. I pushed for this and worked directly with T&M to ensure we retain this ode to Hoboken history. And the timing was perfectly coincidental with Opening Day 2019. Marijuana – No real update other than Governor Murphy and the state legislative leaders were unable to secure sufficient votes in the State Senate and Assembly to pass recreational marijuana legislation last week. A vote had been targeted for Monday, March 25th but was called off. They expect to revisit in May. Parking Meter Rates – tonight is the second vote on the full repeal of the Dynamic Parking ordinance. I plan to vote yes on this, but am working with my council colleagues to hopefully come up with a replacement plan that will include some increases that will be supportive to our businesses (incentivizing turnover) but not punitive to our residents. Revitalizing our Businesses - You may have read the Hoboken Reporter’s article on this… “Citywide Special Improvement District floated.” If not, please do. Next Monday, we are having a stakeholder meeting to present the case for a Special Improvement District in Hoboken. If you are a commercial property or business owner and are not yet aware of this meeting, please email me for details. We sent invitations out to over 1600 people. Since I have been on the City Council I have been pushing for an increased focus on Economic Development in our community. As a result of significantly underinvestment and focus in this area, we have been watching our businesses close. I am the City Council representative to the steering committee made up primarily of local property and business owners working together with an advisor who has successfully established over 35 SID’s across the area, including the one we all hear about all the time – Downtown Jersey City. This is not a done deal yet, but I am so excited about the upcoming meeting to introduce this to the stakeholders in our community. 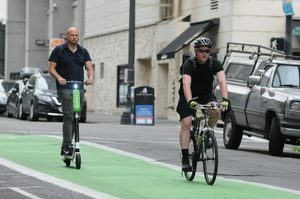 E-Scooters - Tonight on the council agenda, there are two items relating to E-Scooters. The second reading for an ordinance to allow them to be ridden in bike lanes, and a resolution for a pilot (aka trial) program for 300 EScooters at no cost to the city. I need your feedback on this – my visceral response is a “No”. Not because I am anti-scooter because I am not. I see the value in helping to lead toward less cars. I am leaning ‘no’ because there is absolutely no parallel legislation regarding enforcement and safety and I have concerns about collisions with children on bikes in bike lanes and with pedestrians when they do not stop at a stop sign. Just google "escooter safety". That said… this is one of those times when I feel like my opinion may not reflect that of the people I represent. So please tell me your thoughts.